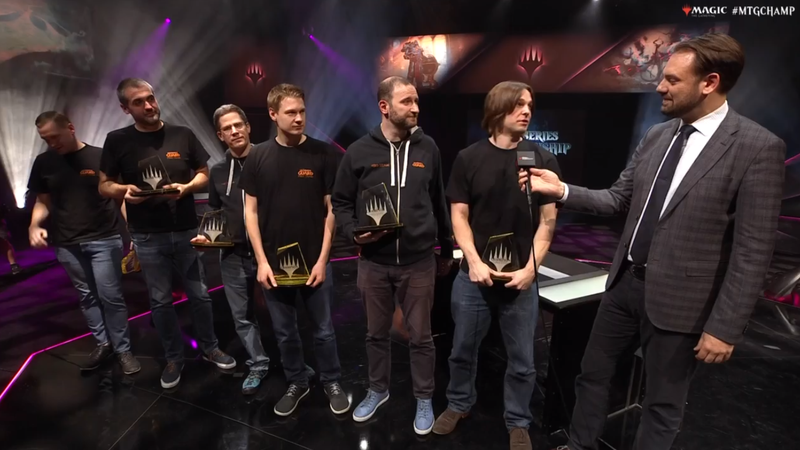 Ultimate Guard Pro Team won the 2017-2018 Magic Pro Tour Team Series today over Hareruya Latin. Ultimate Guard Pro Team won the 2017-2018 Magic Pro Tour Team Series today over Hareruya Latin. The team was stacked with some of the best Magic players of all time, including Jon Finkel, who has the most Pro Tour Top Eight finishes in Magic history.